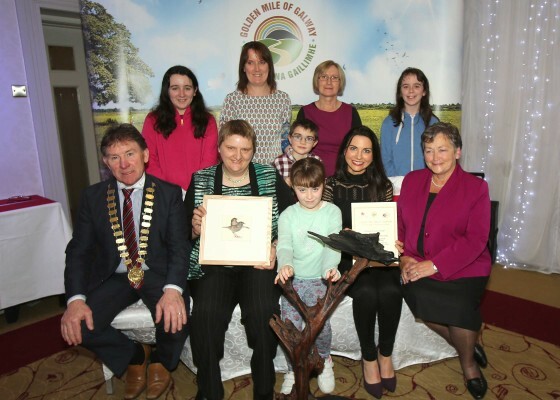 The overall Winner of the Golden Mile Awards 2015 held at the Claregalway hotel was Lisheenaheilta Golden Mile Group, Glenamaddy. In Picture: Front Row: Cllr. Peter Roche, Cathaoirleach Galway County Council, Mary Brosman, Kayla Comer, Colette Ganley and Ms. Delia, CEO, Colahan ,Galway Rural Development. Back Row: Emma Comer, Mary Jo Comer, Jack Ganley, Teresa Comer and Mica Comer. This page was added on 23/12/2015.